I received Lavilin in exchange for my honest review. I made the switch to natural products just over 10 years ago, when I was trying to conceive my first child and I had rid chemicals from my routine. With most body products containing chemical ingredients, it can be tough to find products, and ones that are effective. Deodorants have been a struggle, especially because we love the outdoors, and I have a physically demanding job in a greenhouse (which can also be ridiculously hot, much of the year!). Lavilin Deodorant Cream comes in a little tub. You apply with your fingers, and the product can last up to 7 days. It is water resistant and can last through things like sports and bathing. And no worries about it staining your clothing. 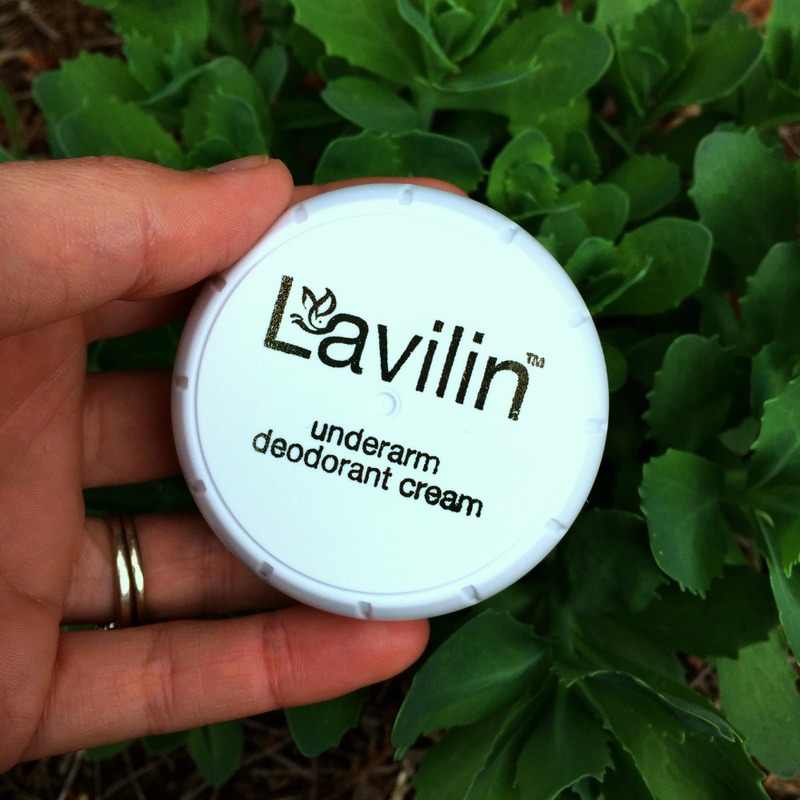 Lavilin is free of chemicals that so many deodorants contain. 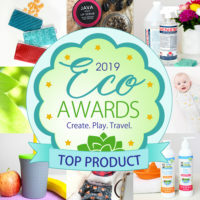 This product is aluminum-free, alcohol-free and paraben-free. And while I hadn’t heard of Lavilin before, it has been around for decades! The deodorant itself is very thick and goes on with good coverage. You have to apply it with your fingers, which is different from a regular stick deodorant, but to be honest, I am quite used to that as most natural deodorants I use generally come in a tub. Lavilin will not stop you from sweating, as this is a deodorant, not an antiperspirant. I don’t want to clog my body with chemicals or from releasing toxins as it naturally should, so I am fine with this. 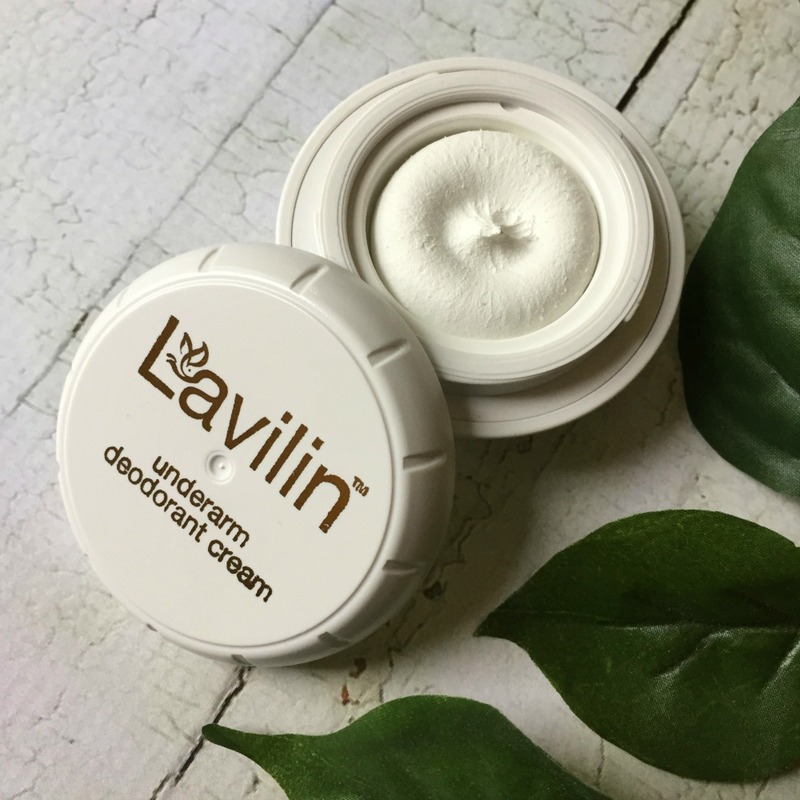 If you are looking for an effective deodorant that is free of aluminum and other chemicals, I definitely recommend Lavilin! It has done a great job at controlling odor for multiple days. I always look for deodorants without chemicals sinceI find many deodorants cause me irritations. I haven’t heard of this one, but it certainly seems worth it to try. I would love to try this! I’ve been doing my best to move away from any product with chemicals or additives. This is especially great for me because aluminum in deodorant DOES NOT agree with my skin. I would love to try this myself. I don’t wear deodorant a huge amount for this specific reason. I do Mondays I know I’m going to be very very sweaty. I definitely could use something like this. I also look for deodorants and other products that won’t harm myself with chemicals. I will check this product out for myself and the grand kids. I am sure this is the cream I got in a beauty box a couple of months ago I was really unsure about it but when I got it using it I was really surprised it does work. I have tried a lot of natural deodorants. I am super interested in this one! It looks lovely! Going to give this a try! I hate the additives in deodorant – so unhealthy! This looks like a great alternative! I seriously have never even heard of this brand. I am going to have to check this out. That’s great! I just want to state here that everything is a chemical, even water is a chemical. But I get what you’re saying about using less harmful things as possible in your diet and what you put on your body. It’s important to know what ingredients you are putting on your body or in your body. I prefer to use products that are chemical free as much as possible. I will check this out. I’ve been wanting to try a natural deodorant for a while but haven’t done it yet!! I need to try this one, you make it sound really cool! LOL! Always looking a natural deodorant but do they do them for men? I’ve never tried to use a deodorant cream but it looks the smell good. I will check it out. What a great brand! I’ve heard this from one of my friend and she really love it. I would like to try it too. I haven’t ever heard of this brand, but it looks like something I could really use. I have never tried deodorant cream though. This I will have to show to my wife. She is constantly having problems with her deodorants irritating her. This sounds like a great option for deodorant. This is my first time hearing about Lavilin, I will check from the store if they have this. I have been looking to switch to more natural products for a while. I find that my current deodorant has not been working well so i am definitely up for trying something new. I am intrigued by a deodorant you apply with your fingers. I haven’t considered switching to a chemical free deodorant. If the deodorant had an antiperspirant, I wouldn’t hesitate. I sweat way too much at times and would be embarrassed to have wet underarms. This sounds like a good one! I have tried a few in the past that were not effective and finally found one that works. Will keep this brand in mind! I’ve never tried a deodorant cream. It has always been spray or stick. Like that it’s free of aluminum and other chemicals. Sounds like a great deodorant to me! I’ve seen more products lately either be deodorant or anti-perspirant rather than both combined. I hate to sweat at work because it ruins my dress shirts but I do like the nature ingredients angle of this product. Nice review. This looks really interesting. I would love to try it and see how it might work for me!